The SATA 2.5 inch PM863a Solid State Drive (SSD) delivers robust performance and lower latency, along with a high level of QoS (Quality of Service) and enhanced reliability under mixed workloads. The PM863a is ideal for CDNs (content delivery networks), streaming or web server applications and cloud services. Samsung VNAND technology enables the PM863a to provide a wide capacity on the same footprint, as well as deliver better performance, endurance and power efficiency to provide all the essentials for 24/7 data center environments. The PM863a shows outstanding random read/write speeds up to 97K/24K IOPS. It also delivers a strong IOPS consistency above 99% in random read, as well as superior performance in random write. The PM863a boasts a better performance to power ratio than standard HDD. This high performance and better power efficiency reduce operating costs of data centers. The SATA 2.5 inch PM863a can replace HDD by using the existing infrastructure and is available in wide capacity options which can save server space. The PM863a protects data with AES 256 bit hardware based encryption. This encryption engine secures data without the performance degradation often experienced with software based encryption. The PM863a demonstrates a low probability of data corruption. End to end protection keeps data consistent along the entire data transfer path and Power Loss Protection safeguards data in the write cache in the event of power failure. The Dynamic Thermal Guard algorithm monitors the temperature of the SSD in order to prevent thermal shutdown. 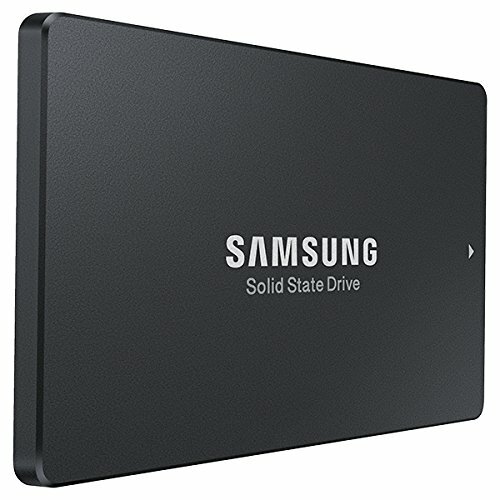 Samsung is a leading solution provider that designs and integrates critical components of the Solid State Drive in house. Because Samsung has intimate knowledge of every component and is a leader in VNAND technology innovation, it can fine tune each element and create perfect synergy.